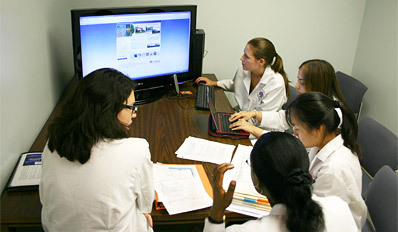 Located in the Communicore Building of the Health Science Center, the HSC Library serves the academic, clinical, and research needs of over 11,000 students, faculty and staff of six health science colleges. In addition it serves Shands Health Care, medical institutions, outreach programs, and distance learning. The Collaboration Commons on the first floor is a popular place for individuals and groups to meet, study and discuss assignments. 10 large screen monitors, specialized software, 83 total computer work stations (including 1 Mac) and white boards are available. The Information Desk provides an all-in-one service center for circulation, reserves/reserve books and room and locker check out. Specialized software is provided at certain first floor stations. They include the VH Dissector by Touch of Life Technologies and Anatomy.TV 3D Head & Neck Anatomy for Dentistry; ask at the Information Desk for more information. Black and white and color printing and scanning are available; printing is charged to your Gator 1 card. Click for more information and rates. 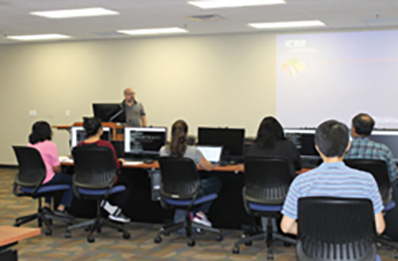 With 51 computers, this facility acts as a general Computer Lab when not in use for a class, and is open during library hours. It can be reserved from 8am-5pm, Monday through Friday. The second floor houses 72 individual computer work stations and 6 computers attached to large screen monitors, each loaded with an extensive suite of software. It also features a scanning station, a black and white printer, and tables for laptop use and collaboration. For more information about printing, please visit library.health.ufl.edu/services/printing-and-copying/. A place where groups can use technology to discover new ways of viewing and sharing data with colleagues around the campus and around the world. It is a technology-enhanced room with a large conference table and comfortable seating for 25. 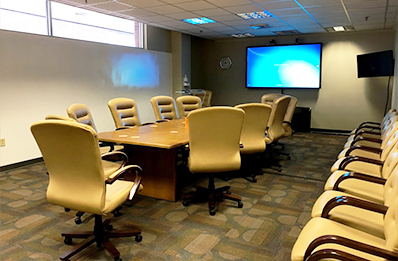 The room is equipped with a 90″ monitor and whiteboard walls. Several study rooms are available for check out on the second floor, and some are available to reserve online. Please visit library.health.ufl.edu/services/reserve-a-room/reserve-a-study-room-students-only/ for more information. 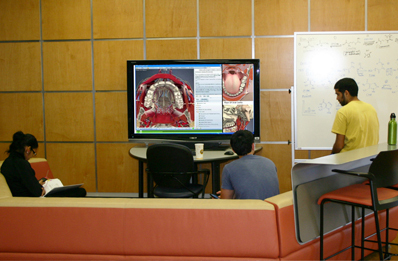 Overall there are 20 computers available in study rooms, and 2 large monitors. Rooms may vary as to exact size and accommodations for individuals or small groups. Rooms not reserved online are available on a first-come-first-serve basis. Please visit the first floor Information Desk and present your Gator1 card to check out these rooms. Long-Term Lockers can be checked out semester to semester, and they can be renewed. To check out a long-term locker, you need to be a current student, staff or faculty member and have a current Gator 1 card. Temporary Use Lockers can be checked out on a daily basis; we provide the lock/key. The lock/key is to be returned to the Information Desk by library closing on the day it is checked out. To check out a temporary-use locker, you need a current Gator 1 card. All print materials are housed on the third floor. Accessible by the interior staircase, the third floor has been set aside as a quiet zone to allow for more concentrated studying. There are a variety of spaces available for studying including large tables, carrels, lounge chairs, and study rooms. Printing and copying are also available using the Gator 1 card payment system. Several study rooms are available for check out on the third floor, and some are available to reserve online. Please visit library.health.ufl.edu/services/reserve-a-room/reserve-a-study-room-students-only/ for more information. Overall there are 19 computers available (one Mac), 11 with large screen monitors. Rooms may vary as to exact size and accommodations for individuals or small groups. Rooms not reserved online are available on a first-come-first-serve basis. Please visit the first floor Information Desk and present your Gator1 card to check out these rooms.